A mood disorder that begins after childbirth and usually lasts beyond six weeks. Also known as Post Natal Depression PND, PPD. 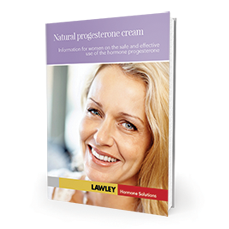 Progesterone levels are at their greatest during the third trimester of the pregnancy. It is during this time when many women “nest” and “bloom”. Clarity of thought, mental acuity, high energy levels, confidence and zeal typify this period of many women’s pregnancies. With the birth of the child and the passing of the placenta, blood levels of progesterone fall dramatically. The action of breast feeding has the natural action of inhibiting of ovulation and progesterone levels remain low until ovulation recommences. The “second day blues” is a common and transient phenomenon to the new mother, but the more lasting and pervading depression that can overcome some women is triggered by the huge hormonal withdrawl as a result of the birth. Up to 15% of women affected. Only 1 in 5 seek medical treatment or recognize symptoms. 1% of women develop severe psychosis. Self-limiting, but may be prolonged. And irritability (9-15% of women) extends to mild to moderate depression further developing to psychosis in about 1% of cases. Both mother and baby at serious risk. Rapid reduction of progesterone and estrogen levels in the third trimester of pregnancy are strongly implicated in PPD. It is logical that the addition of natural progesterone post partum to women who experience post natal depression will assist. Natural progesterone does not interfere with breast milk production and offers a far more reassuring treatment than antidepressants to the new mother. High dose natural progesterone cream treatment combined with professional counseling to assist with post natal depression is usually only required for a few months.